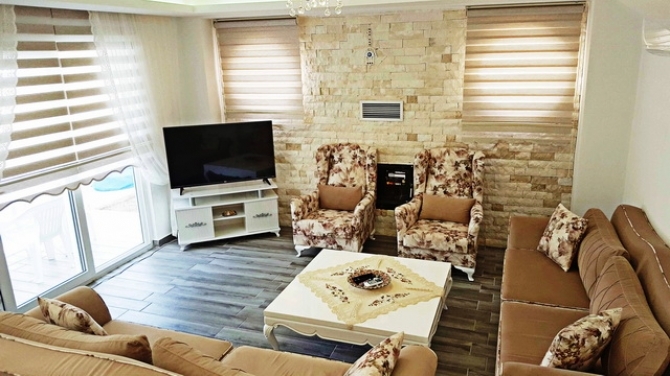 This delightful re sale villa is borderline Ovacik and very close to Hisaronu within a short walking distance of 5 mins to the main high street and within very easy reach of the beautiful beaches of Oludeniz and the Blue Lagoon. 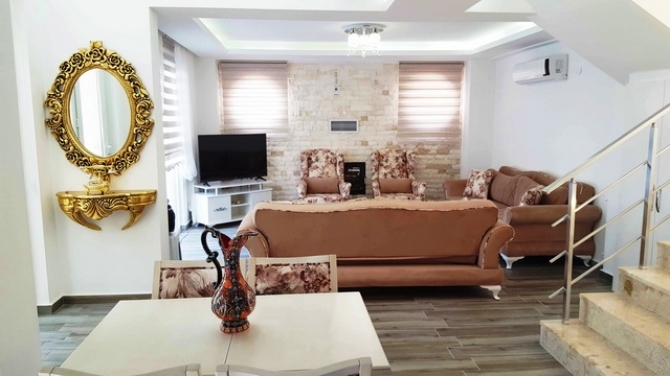 Set in a peaceful location with panoramic views over the local countryside and with great views of Babadag mountain this spacious villa offers fantastic value for money and would be ideal for family holidays, permanent living or to own as a rental investment property. 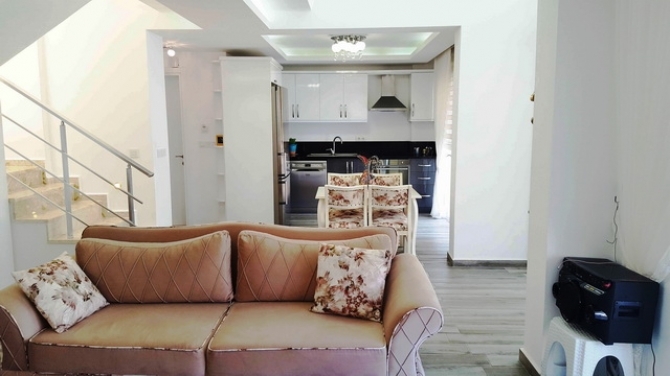 This villa is located close to the restaurants and bars of the very lively Hisaronu town centre but far away from it all for you to be able to enjoy some peace and quiet. The location of this villa has proven to be very popular with rental clients. 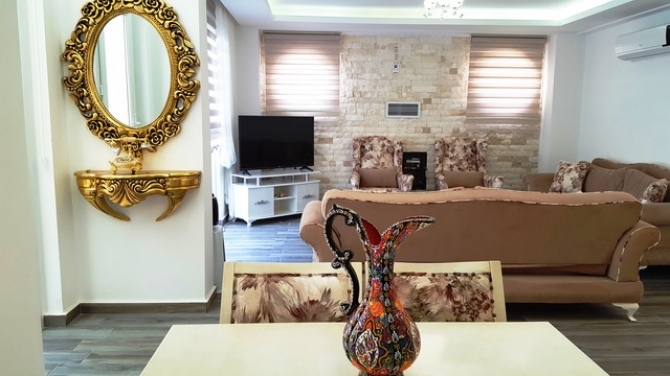 This Lovely Resale villa is being sold Fully Furnished. KEY FEATURES: Modern kitchen units and white goods , Fully fitted bathroom suite, Solar hot water system, Air conditioning units in all rooms, plumbed for central heating, Cabling for alarm and security systems ,Guttering & drainpipes ,All windows, balcony and patio doors frames are double glazed PVC, Woodwork interior stairs, aluminum & glass handrails and balcony railings, Steel entrance door and all interior doors are solid wood furniture doors,TV & Satellite receiver, telephone, electrical internal lines, and wired internet installed and all necessary sockets fitted ,All lighting lamps & fittings are fitted,Marble floor is surrounding the swimming pool.